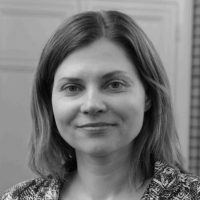 Dr. Ilona M. Otto is a senior researcher at the Potsdam Institute for Climate Impact Research and she holds the EarthDoc position within the Earth League Network. She graduated resource economics and sociology. She uses various research methods including social surveys, case studies, behavioral experiments, and simulations in analyzing problems related to global environment changes, development, adaptation and sustainability.